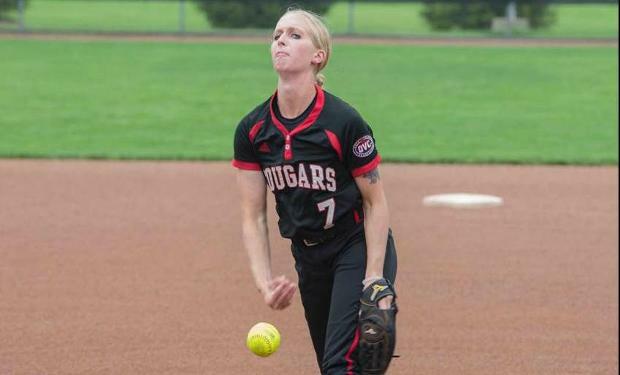 EDWARDSVILLE, Ill. – SIUE softball’s Baylee Douglass has been selected as one of 25 national finalists for the National Fastpitch Coaches Association’s (NFCA) Freshman of the Year Award. Douglass, of Centralia, Mo., holds a 13-4 record with a 1.97 earned run average. She is among the nation’s leaders in saves with four. In 110 innings pitched this season, Douglass is ranked in numerous NCAA Division I pitching statistical categories. 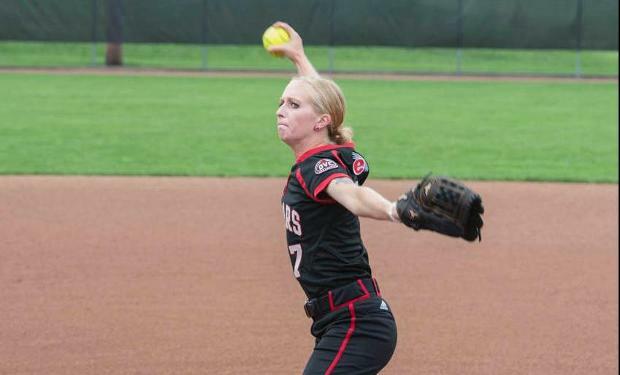 She is 12th in saves (4), 38th in walks allowed per seven innings (1.40), 61st in earned run average (1.97), 61st in hits allowed per seven innings (5.41), and 73rd in strikeouts per seven innings (7.6). Douglass is the lone player from the Ohio Valley Conference to be a national finalist. On May 7, the list will be trimmed down to the top 10 finalists, while the top 3 finalists will be selected and released May 21. In its second year, the NFCA Division I National Freshman of the Year trophy will be presented during a live ceremony on May 26 prior to the opening of the annual Women’s College World Series in Oklahoma City. 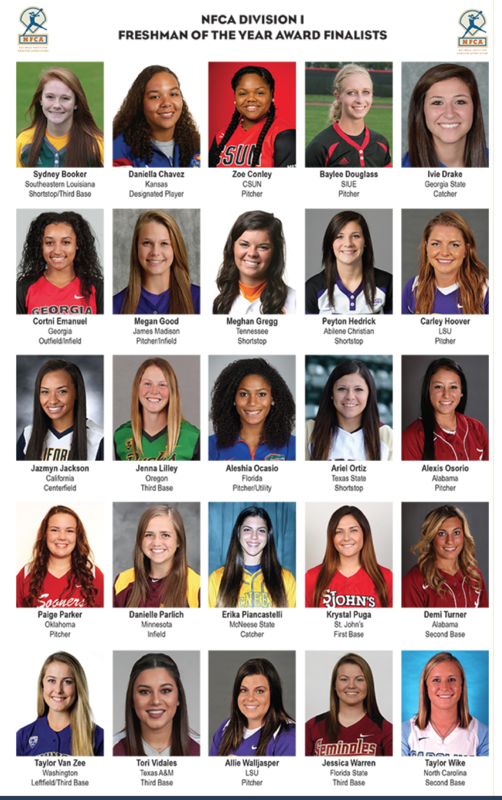 LOUISVILLE, Ky. – The National Fastpitch Coaches Association is proud to announce the top 25 finalists for the NFCA Division I National Freshman of the Year award, which will be presented prior to the start of the 2015 NCAA Women’s College World Series in Oklahoma City, Okla. This year’s 25 finalists hail from 23 different universities, while the group represents 12 Division I leagues across the nation, ranging coast-to-coast, from New York to California. Alabama and LSU out of the Southeastern Conference each boast two finalists. The SEC led the way with eight overall selections. The Pac-12 and the Southland Conference each had three representatives, while the Atlantic Coast Conference, Big 12 and Sun Belt garnered two honorees apiece. The BIG EAST, Big Ten, Big West, Colonial Athletic Association and Ohio Valley all had one selection. On Thurs., May 7, the list will be trimmed down to the top 10 finalists, while the top 3 finalists will be selected and released on Thurs., May 21. In its second year, the NFCA Division I National Freshman of the Year trophy will be presented during a live ceremony on May 26 prior to the opening of the annual Women’s College World Series in Oklahoma City. 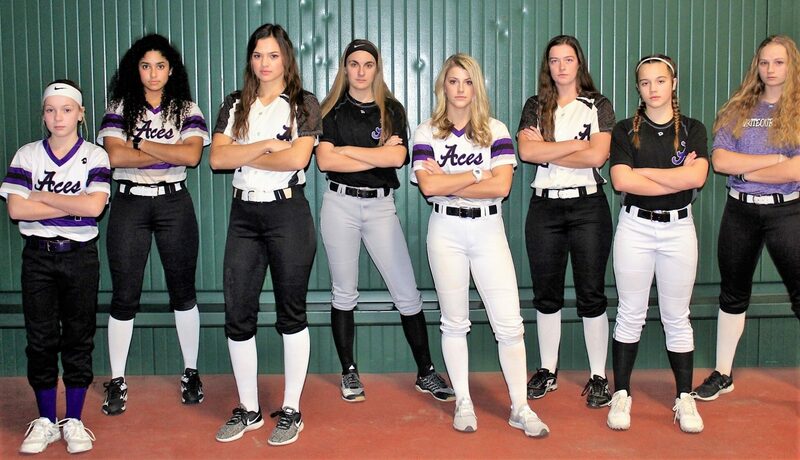 Next PostNext Aces finish third in the ASA Memorial Day Tournament.